Early 1960s were decisive for the UK. British rock initiation is the phenomenon not to forget. We are still feeling crazy about the music that was popular over 5 decades ago. Whatever modern artists you prefer, you occasionally get back to good old Beatles. They were the reason British rock changed the course of music history. The initial attempts to introduce rock and roll in Britain go back to the mid 1950s. In major UK cities, such as London, Manchester, Liverpool, and Birmingham, different bands started to appear. However, the term "rock" is usually associated with the early 1960’s in the UK. At the beginning of 60s, two major rock music styles appeared in Great Britain – blues-rock and "Merseybeat". The latter one was the combination of rock and roll beats with vocals and catchy melodies. The Beatles became the most popular band in this style. They had gone through the tough way of playing in small clubs and pubs before they met George Martin who became their producer. With his help, they recorded hits that were later found at the top of UK charts. Some of them are "She Loves You" and "I Want to Hold Your Hand". The year 1964 changed band’s career for good. The Beatles set out for the US tour and in April 1964, they saw their singles headlining top 5 positions of the Billboard Hot 100 chart. Their success was tremendous and it inspired lots of other UK bands to go to America too. The Kinks, The Who, and the Rolling Stones were some of those who decided to try their luck there. This phenomenon was called "British Invasion of the United States" and influenced the growth of rock music in America and all over the world. A lot of blues-rock bands moved to other forms of rock music. Thus, blues rock helped to create a lot of rock music subgenres, including heavy metal music and psychedelic rock. Despite an array of competitors, The Beatles still managed to sound unique. They were less influenced by blues music than any other band. In addition, they did their own songwriting and had some remarkable technical values. Beatlemania in the US became a sensation until the band broke up in 1970. British Invasion contributed to the beginning of a row of popular British bands that are still on the stage today. For this reason, American press often referred to them as "British Invasion bands". During two years after the famous 1964, lots of British rock bands including The Animals, Peter and Gordon, Freddie and the Dreamers, The Rolling Stones, Donovan, and some more headlined the US charts with one or more singles. These events had a strong impact on the fashion and hairstyle in America and Great Britain. American media called England the center of fashion and music. British rock music has played a pivotal role in changing a global culture. It helped to find and develop new talents from different parts of the world. Jimi Hendrix and Bob Marley were influenced by Beatlemania and later made their own contribution into the world of rock music. By 1970s, rock music became a mainstream not just in a Great Britain but all over the world. Former psychedelic-pop band The Status Quo became one of the most successful rock bands in the UK by introducing their unique boogie-based rock music. Meanwhile, Pink Floyd, Moody Blues, and Yes introduced "progressive rock" music that combined rock melodies with symphonic arrangements. The above mentioned Jimi Hendrix moved from the US to England and contributed a lot into the development of a hard rock genre. Early seventies brought to the world new rock legends – Deep Purple, Black Sabbath, and Led Zeppelin. Supertramp and Bad Company became the rock stars of mid-seventies. Another band that combined classical sounding with rock music was Queen. In a certain way, they followed the style of The Beatles and made all their songs and albums different. The late 70s became popular due to the new rock term "corporate rock" and those who initiated it – British-American rock group Foreigner. Lots of bands started working on their own ways to sound extraordinary and get noticed by the American charts. With the arrival of 80s, such rock styles as metal, punk, and arena rock emerged. A number of newly-created bands was growing at a massive pace. The Police and Dire Straits bands managed to attract the attention of critics who acknowledged albums "Synchronicity" and "Brothers in Arms" as the best rock albums of the 80s. The arena rock style was initiated by Def Leppard that skillfully combined electronics with rock. Their famous album "Hysteria" can illustrate this style the best. By 1990s, a lot of British rock bands were attracted by the "alternative rock" style. Some of the most distinguishing names were The Cure, Stone Roses, Tears For Fears, XTC. It goes without saying that British rock music had a tremendous influence on the course of music history, especially when we speak of The Beatles, Queen, The Rolling Stones, and Pink Floyd. Despite new rock bands emerging and new music trends, these rock legends are timeless. Some of them are still on the stage and when their concert tours are announced, the fans are getting crazy and the tickets are sold out in no time. 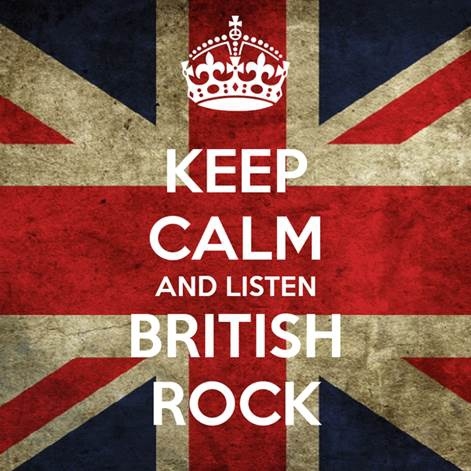 British rock is immortal, as well as those who brought it to the world. Melomaniac from London, actively pursuing a full-time career and attending a wide range of live music concerts all over the UK. Eventually, my music addiction brought me to Ticket Select. The site’s slogan — ‘one search, all tickets’ — immediately appealed to my active music lifestyle, and right now, I am one of the most active members of our growing team. Server responsed at: 04/25/2019 2:45 a.m.